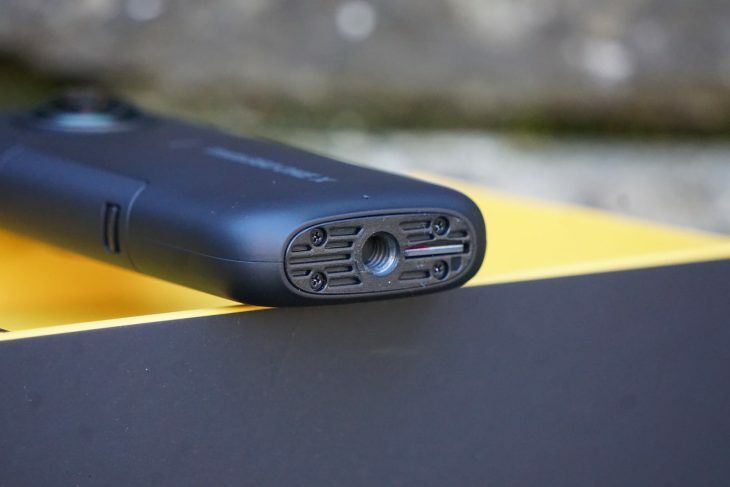 Insta360 is a “new school” action camera maker, who rather than simply makes an alternative to a GoPro, has looked at the idea of an action camera from a totally new perspective to bring something new to our action video experience. 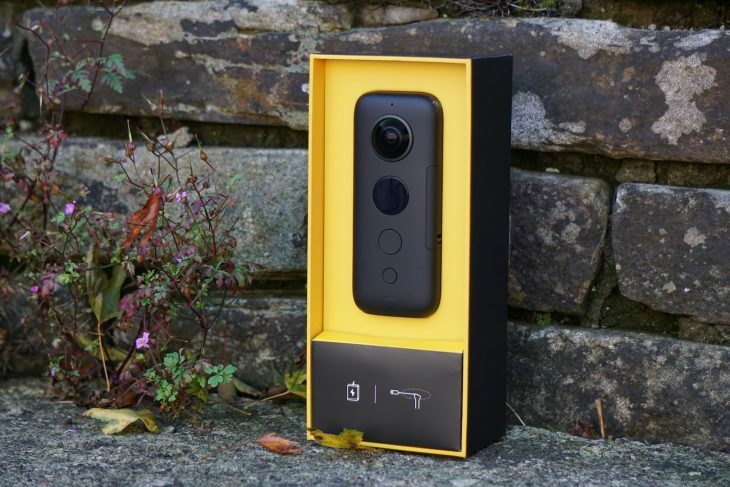 The clue is in the name, as Insta360 is a 360 camera maker, meaning that all of its products are able to record a sphere of video which can be used to make some very cool video effects or even connected with a VR headset to create a virtual reality experience. 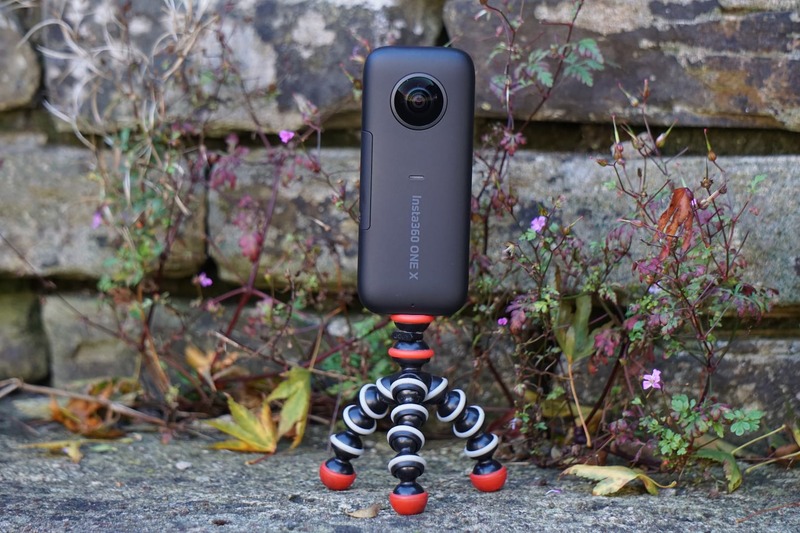 The Insta360 OneX ready for action, 360 action! 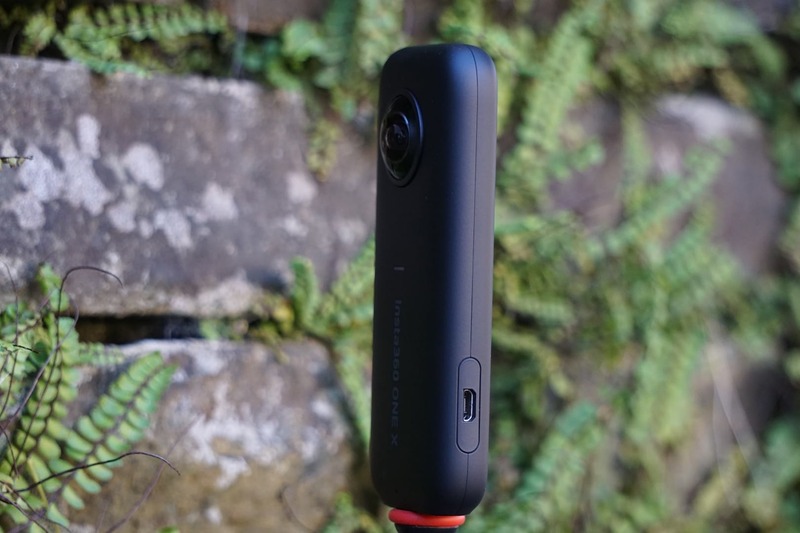 In truth, not many people really want a sphere of video or VR features, but luckily that’s not all the Insta360 One X offers. This clever 360 camera records super stable footage, allows you to edit video that looks like it has been shot on multiple cameras, and create stunning visual effects like Matrix-style “Bullet Time” shots, or super slow motion video. 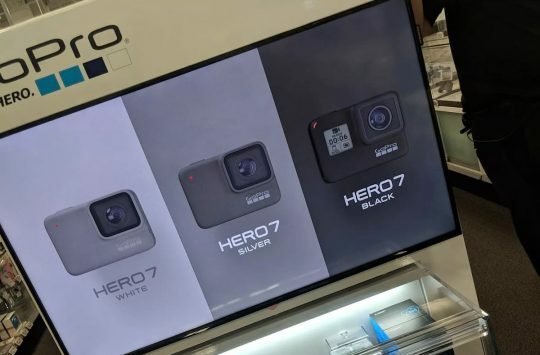 To ensure that you’re still getting good quality video, despite the 360 recording, the OneX films at 5.7K, but has options for lower resolutions and higher frame rates for really slow video. Stills are shot at 18 mega-pixels and with an F2.0 aperture, it offers pretty good low-light performance while HDR really gives some ‘pop’ to your photos. Micro USB is used for charging and connecting to your smartphone/tablet. WIFI is also used for connecting on the move. 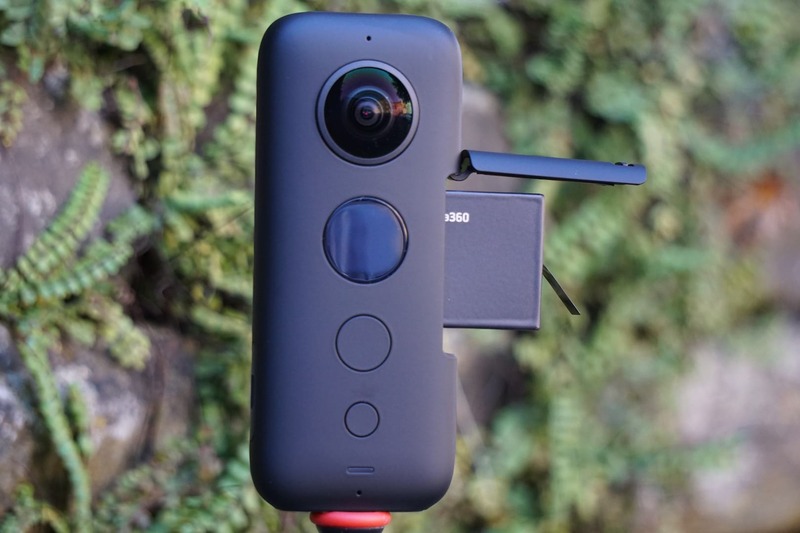 The Insta360 One X costs just under $400, and at that price you get the camera, a battery, a carry pouch and 3 x data transfer cables for use with USB Type C, micro USB and Apple’s Lightning cable depending on the device you want to connect too. If wires are too analogue for you then you can opt to connect via WIFI instead. 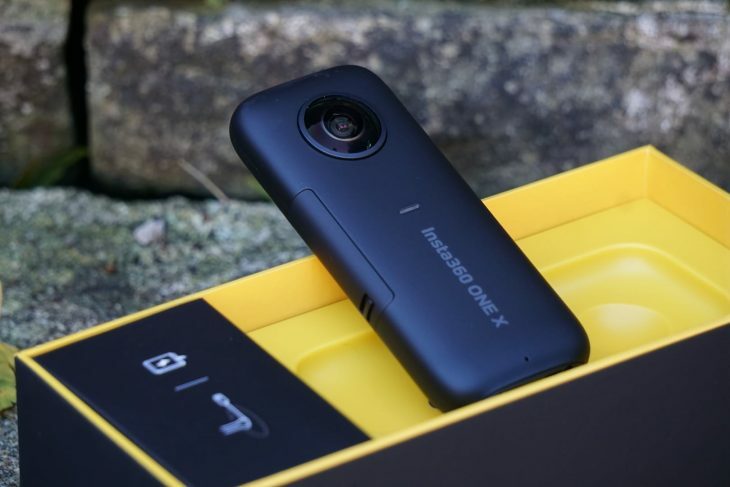 1 x 1200mAh battery claims to offer 60min of video recording. 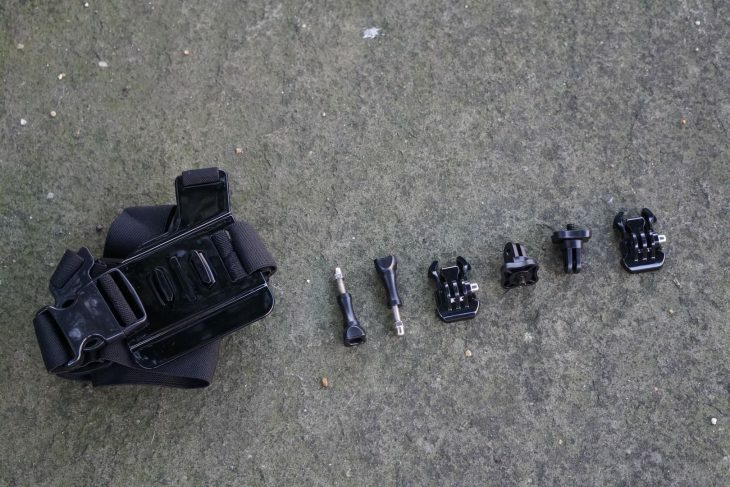 With what’s in the box you have everything you need to start shooting handheld stills and video, but if you want to head out on the bike you’re going to need the optional “Bike Bundle”. A standard tripod mount means you can use plenty of current accessories. 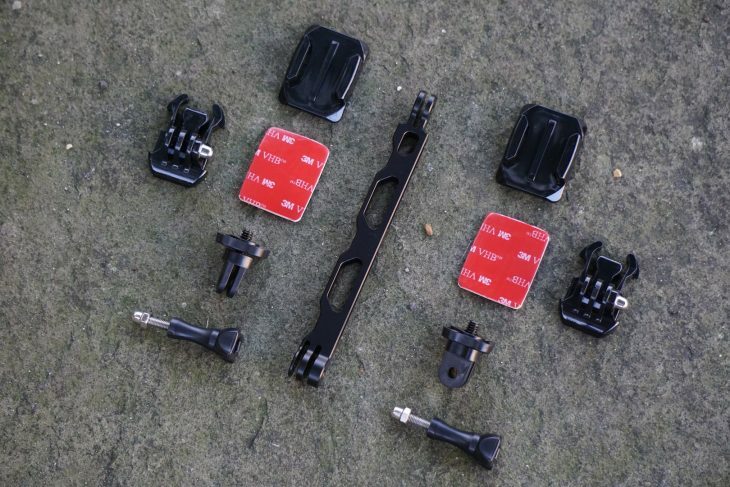 The “Bike Bundle” cost $39 and comes with all the accessories you need to start creating video on your on and off the bike. 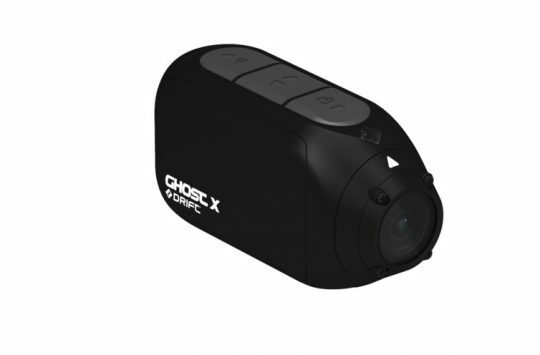 Part of the “bike bundle” comes with a chest mount and GoPro style mounts. There are adhesive mounts to attach to your helmet, a chest strap, handlebar strap, extension pole, and a selfie stick too. The Selfie Stick is a little more useful than the name suggests and actually allows you to film above crowds, in out of the way places, or get closer to the action. Sticky 3M pads let you fit the OneX to your helmet. Remember that the Insta360 One X is shooting in all directions so you don’t need to worry about aligning the camera correctly and, depending on the accessory you use and the way you position your camera, you can be filming the action, and your reaction at the same time. A screenshot from the Insta360 OneX app showing some of the editing options. As with all modern cameras, the Insta360 One X gets an App, Android and iOS, and from this, you can edit your video on the fly. There are simple edits like trimming or adding filters but then there are some smarter features such as “SmartTrack” an active tracking feature that you can use to follow moving objects such as other riders. A “Pivot Point” editing feature will automatically change reposition the view of the video once you arrive at a certain point. While “ViewFinder” enables you to use all of these features manually while also zooming in and out to create some really very cool visual effects. Micro SD cards are used to store your 360 video. Is this the front or back? A protective case means you don’t need to worry about scratching those lenses. 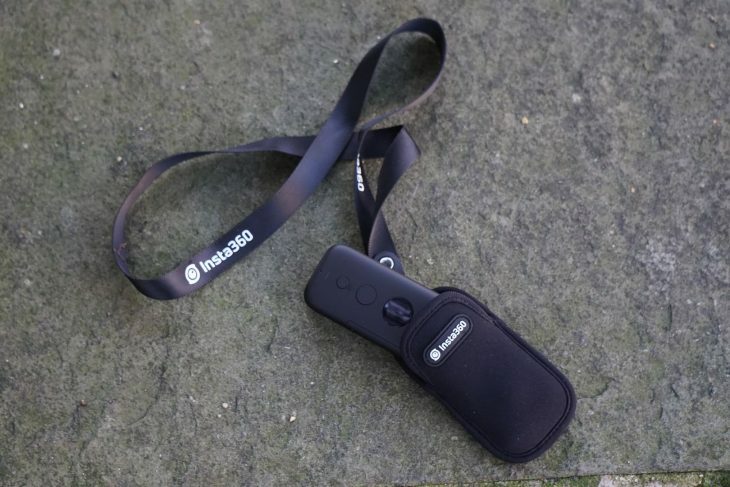 We’ve already had a quick play around with the Insta360 One X this weekend and plan on taking it to Malaga this week to record some footage on the rocky enduro trails out there, but so far so good. The video is amazingly smooth, and the high resolution means it’s exceptionally clear too. 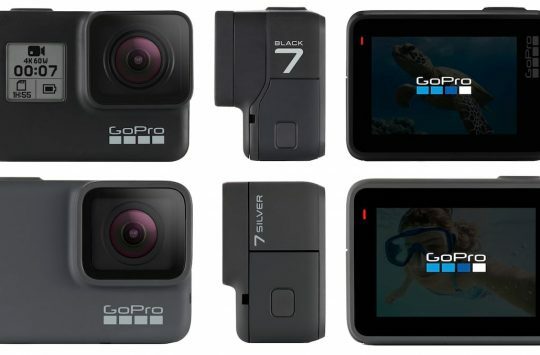 Interestingly, we also have a GoPro Hero 7 on test too, so we can see how the One X compares to the latest GoPro. That’s all for this first look, but we have more info on the Insta360 One X here in our launch story, and you can find further details over on the official Insta360 website. We’ll keep you posted with our review, but if you have any questions please feel free to let us know in the comments section below. Very excited to see more!